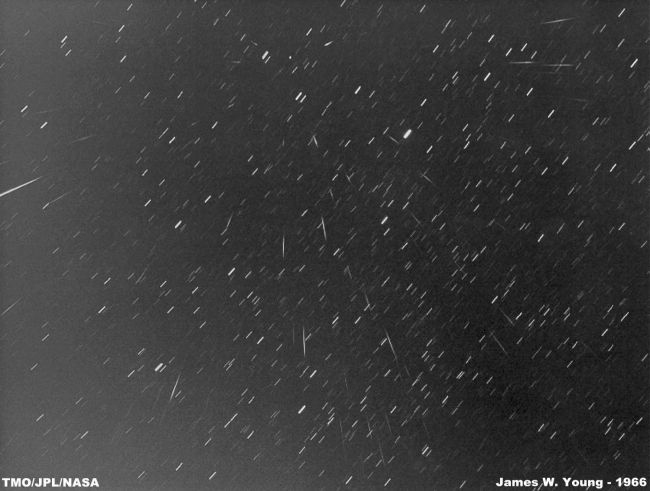 negative, there were 88 meteors counted. Depending upon the time of the comet's return to the earth's vicinity, this shower can be spectacular! close proximity of Comet Tempel-Tuttle (which has a period of 32.9 years) in relation to the earth. case, I will be prepared...will you? 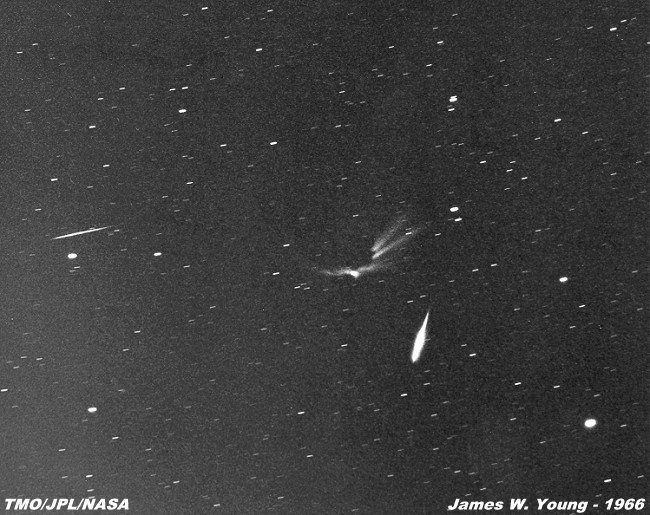 path of the meteor, which came from the upper left, shows an ionized trail that spread to the right. 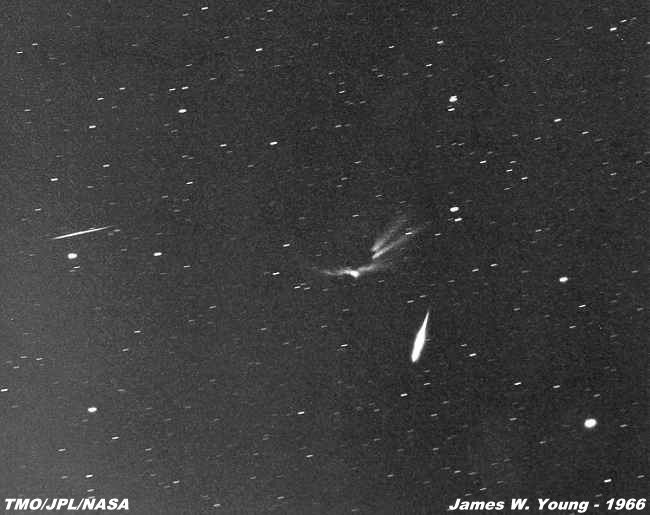 wind blown trail changes length and direction as the meteor got closer to the earth (lower center). before twilight began. 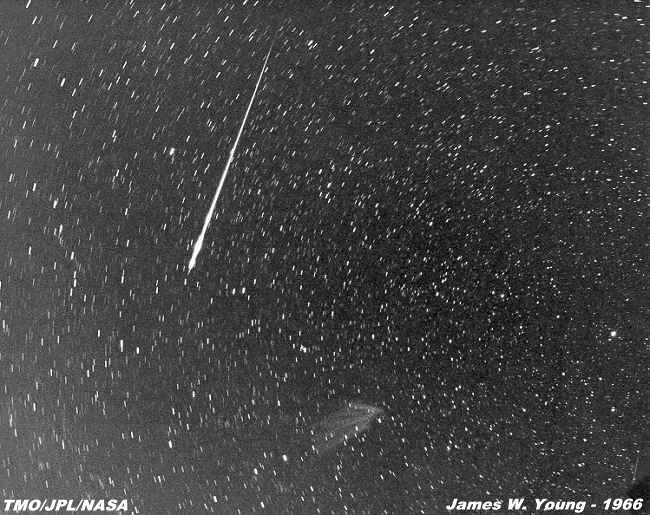 the north star, Polaris is in the lower right center of the picture. 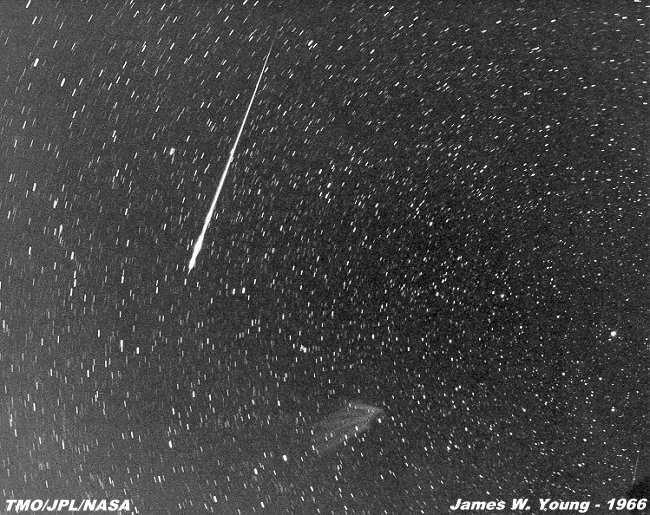 meteors are striking the earth's atmosphere upwards of 45 miles per second! 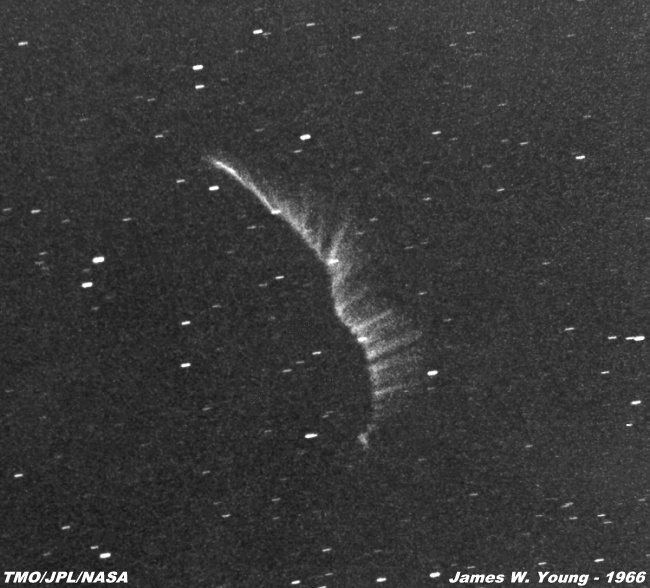 this event on Kodak Plus-X (100 ASA) and Tri-X (200 ASA) film.